Note you can also call and reserve your parts, by calling any of the stores below directly. 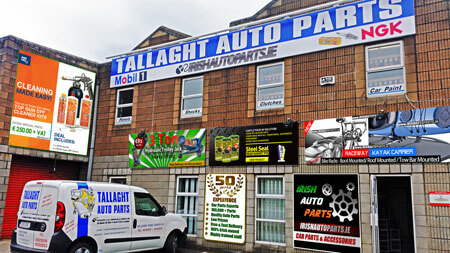 Celebrating 40 years in business this year, Tallaght Auto Parts is South Dublin's biggest and best car parts and accessories shop. We offer the most comprehensive catalogue of car parts and accessories available in Ireland, all at competitive prices. Address: Belgard Road, Tallaght, Dublin 24, Ireland. Opening Hours: Monday-Saturday: 9am-6pm. Thursday & Friday: 9am-7pm. 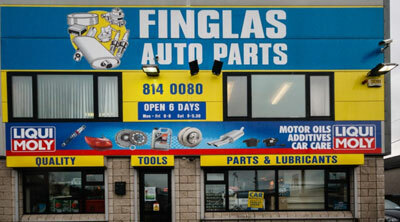 Celebrating 10 years in business, Finglas Auto Parts has become a leading supplier of a huge range of car parts and accessories to businesses and residents in North Dublin and sorrounding areas. Address: St Margrets Road, Finglas, Dublin 11, Ireland. 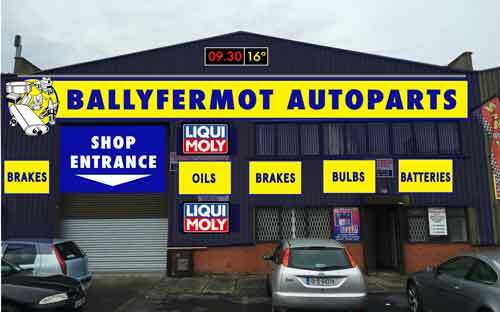 Opened just two years ago, our West Dubin branch, Ballyfermot Auto Parts is the newest member of the Irish Auto Parts family. Address: Unit 81, Cherry Orchard Industrial Estate, Ballyfermot, Dublin 10, Ireland.